Select by competitive tender all contracts required to maintain the site in accordance with Section 20 of the Commonhold & Leasehold Reform Act 2002 and any additional legislation as it becomes appropriate. Prepare an annual budget of income, expenditure, provisions and cash flow. Prepare a reserve fund plan relating to cyclical maintenance. Pay invoices upon receipt when work is completed and accepted as satisfactory. Invoice and collect the service charges when due under the terms of the lease. Deal with routine enquiries from leaseholders and their tenants in a prompt manner. Respond to solicitors’ and leaseholders’ enquires regarding assignments. Prepare and distribute notices of Annual and Extraordinary General Meetings. Prepare draft minutes of the Annual General Meeting. Carry out regular external inspections of the site area for maintenance issues; report to the Management Committee and organise the relevant contractors to carry out the works highlighted, as agreed. Supervise routine repairs and maintenance work. Provide advice on the selection and appointment of specialist professionals, builders and other contractors. Prepare maintenance plans and contracts for entrance doors, smoke alarms and fire safety systems, and other plant and machinery as may be installed on and in the property. Enforce compliance in line with the terms of the leases and policies agreed by the Council and, where necessary and subject to the Council’s authorisation, instruct solicitors in relation to breaches. Liaise with the Company’s solicitor. Prepare and maintain a safe and effective strategy within current legislation in accordance with current best practice. Prepare a risk management strategy. Provide advice on management policy. Provide advice to the Council on residential landlord and tenant procedures, including statute and practice. 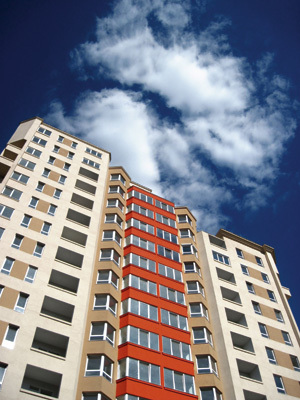 Fees for block management are individually tailored for each property and are provided once an inspection of the building has been carried out and the needs of the freeholder/leaseholder has been assessed.